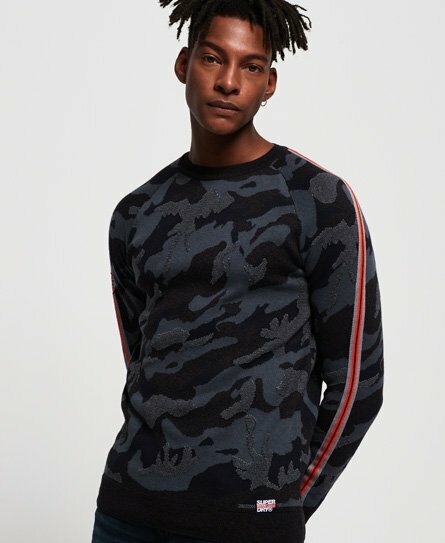 Superdry men's camo crew jumper. This crew neck jumper featurings an all over camo design, ribbed collar, cuffs and hem and stripe detailing down the sleeves. The jumper is finished with a logo badge on one sleeve and small logo badge above the hem.